It is our mission to provide our customers with the highest quality products and services at competitive prices on a timely basis. Our customers, and their satisfaction shall always remain our top priority. Our foundation will be based on reliable, fast and troublefree service, with expert counsel. We conduct business in a professional manner and want to put God first. The bells and clocks of your establishment serve as a staple and icon to the community. They also serve as a ministry and can draw parishioners to your church. A nice clock always adds value to your property. Our staff has the knowledge and experience to help provide what you need, when you need it. We accurately assess your situation and sell only the products you need. We constantly strive to make immediate service calls and or maintenance. We offer 24/7 bell and clock service.We can charge affordable rates because we don’t have the overhead that some larger companies do. This is a Christian, and family oriented business. 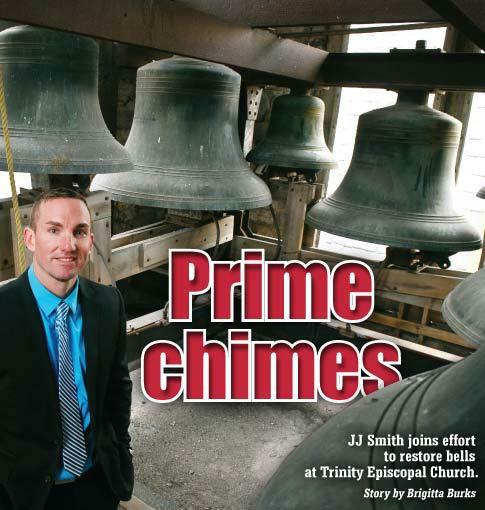 I chose to start Smith’s Bell and Clock Service to provide an alternative and superior service to customers in the midwest. Our goal is customer focused, not company focused. We make sure your equipment lasts and operates to it’s full potential and get you only the parts you need. I was born and raised in the Indianapolis suburbs. I graduated high school from Decatur Central and joined the U.S. Marines. After serving my time in the military, I attended Indiana University where I excelled in Business Management and Physiology. I am a devout Christian and constantly strive to seek excellence in his honor and pledge to provide timely, affordable, and quality service to my customers.